The Utah Legislature has approved a bill that would allow naturopathic physicians to prescribe transdermal or buccal testosterone (but not injectable esters of testosterone). The “Hormone Restoration Amendments” (HB-108) passed the Utah Senate on March 9, 2009 and the Utah House on February 10, 2009. Placing the risks of testosterone in perspective, Rep. Paul Ray stated, “I’ve been married 17 years and too much estrogen scares me a heck of a lot more than testosterone.” Utah will become the fifth state to grant prescriptive rights for testosterone to naturopathic physicians when the bill is signed by Gov. Jon Huntsman. Utah joins Arizona, Oregon, Vermont, and Washington as the only other states where naturopathic physicians can prescribe testosterone (”Bill will allow naturopathic doctors to prescribe testosterone,” March 5, 2009). The “Hormone Restoration Amendments” were opposed by the Utah Medical Association and the Utah Health System Pharmacy who expressed their antagonism towards compounding pharmacies during debates. The Utah Health Insurance Association was also concerned that the bill would force insurance companies to cover naturopathic physician-prescribed testosterone replacement therapy (TRT). The Utah Association of Naturopathic Physicians was well-informed and knowledgeable regarding testosterone and federal steroid laws. The representatives for the Utah Medical Association and the Utah Health System Pharmacy were not; their testimony was inaccurate and misleading with respect to steroid law and steroid side effects. The UMA sent a non-medical expert to present their case opposing the bill. Michelle McOmber, of the Utah Medical Association, erroneously asserted before the House committe that the anabolic steroid testosterone was a Scheduled II Controlled Substance. 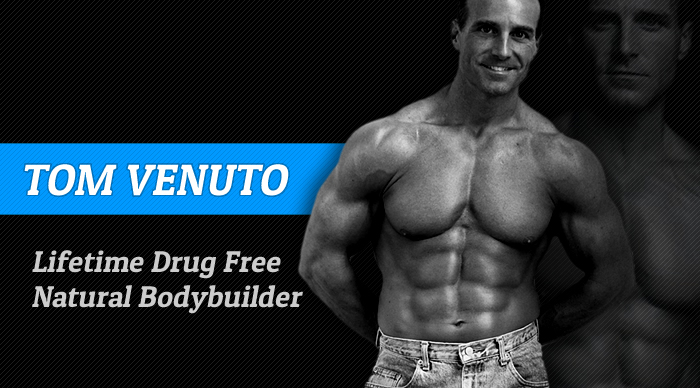 In fact, testosterone and related anabolic steroids are Schedule III. “Testosterone was placed by FDA on Controlled II substance list because of high potential for abuse and for side effects and other things that happen,” according to McOmber. Matthew Burnett, N.D., the President of the Utah Association of Naturopathic Physicians, applauded the Utah Medical Association for familiarizing themselves with federal steroid law at the Senate debates a few weeks later. Michelle McOmber of the Utah Medical Association argued against the bill by hyping the dangers of compounding pharmacies and testosterone overdose. Physicians with the Utah Medical Association actually think a testosterone overdose can results in the “liver ceases to function.” The issue of compounding pharmacies was irrelevant since transdermal testosterone is available in FDA-approved Androgel. Beth Young, Ph.D., with the Utah Health System Pharmacies, tried to argue that the bill was bad because it would lead to compounding testosterone products for women during a Senate committe debate on March 2, 2009. Young attempted to defend this argument by claiming the bill’s representative had stated testosterone would be prescribed for women. When that turned out to be false, she desperately tried to interpret/define the phrase “bio-identical” as meaning that the bill advocated testosterone for women. Beth Young, Ph.D., Utah Health System Pharmacies: It will grow hair in women as well, and perhaps in places they would not like to see hair grow. I have very strong concerns with using this medication in women. Currently, the FDA has not permitted any [testosterone] medication to be used topically or in a buccal form as this bill states for women because there are no scientific studies that demonstrate efficacy. More importantly, they do not demonstrate safety of this product in women. I also have very strong concerns about the use of the word bio-identical in this bill. The FDA has stated that using bio-identical to describe hormones – again there is no scientific data to support the use of this word to describe any hormone product. There are plenty of hormone replacement products on the market that have demonstrated safety and efficacy that women can use. For anyone to be compounding a buccal product that contains testosterone for women would be in opposition of FDA rules and guidance. So along with the Utah Medical Association, the Utah Health System Pharmacy strongly opposes this bill. Sen. Scott D. McCoy: What makes you think naturopaths are going to prescribe this for women? Rep. Douglas Aagard: What I said was naturopaths currently prescribe estrogen but they are not allowed to prescribe testosterone. Estrogen for women. Testosterone for men. Beth Young, Ph.D. of Pharmacy, Utah Health System Pharmacies: And there’s a good reason for that. Testosterone for women is not approved by the FDA. Sen. Scott D. McCoy: And I understand that. What I’m asking you is ‘what makes you think that a naturopathic physician would prescribe testosterone for women any more than a medical doctor would prescribe testosterone for a woman? Do you have any reason to believe they would do that if it’s not authorized or condoned by the FDA? This is where I’m getting a disconnect. Beth Young, Ph.D. of Pharmacy, Utah Health System Pharmacies: The use of the word bio-identical is commonly used by people who compound products to help sell their products. There are reasons, perhaps, to compound a product but to describe it as bio-identical is not appropriate and has been… The FDA has requested that people stop using that word bio-identical. So, the term bio-identical to describe that in the bill suggests – I agree it’s a suggestion to me – it suggests they are going to be using that product for women. Because bio-identical hormones, that terminology is typically used to describe compounded hormonal products for women. Ben Bramwell, N.D., Utah Association of Naturopathic Physicians: Yeah, we can be sued. Sen. Scott D. McCoy: So, if you started doing something that was not authorized by the FDA, or was somehow outside the normal course of care for a naturopathic physician, you would be subject to liability. Matthew Barnett, N.D., Utah Naturopathic Physicians: The last person who spoke was making a discussion of bio-identical. I just want to point out that currently one of the more common forms of testosterone in cream form is Androgel. That is testosterone USP. That is testosterone in its natural form. That is often what people would call bio-identical. But you can’t get around it any other way. Testosterone is testosterone. Testosterone USP has been approved by the FDA in Androgel, not just for use in specialists but in primary care. So, the best argument against this bill was the unfounded fear that its passage would lead to widespread testosterone overdosing through the use of compounding pharmacies by the dozen or so naturopathic physicians in Utah?! Or that the bill would lead to the rampant use of testosterone in women sparking an epidemic increase in female libido?! Although it is a separate issue entirely… the fear of prescribing testosterone for women in the United States is disappointing as the testosterone patch Intrinsa for women has been approved in the European Union. The only FDA-approved androgen for women is the synthetic methyltestosterone. Medical doctors often prescribe testosterone off-label for women experiencing low sexual desire or libido. Body Type Diets: Science or Scam? How many times a week strength athletes should train muscle groups?